Linh Phuoc Pagoda has long become the alluring sight in Dalat thanks to its incredibly unique mosaic architectural style from glass, pottery shards. The amazing architectural works significantly promote the image of the unique pagoda to numerous tourists. 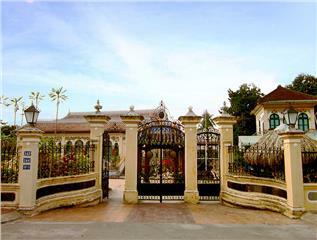 Far about 8 km from Dalat city center to the northeast, Linh Phuoc Pagoda is located at No. 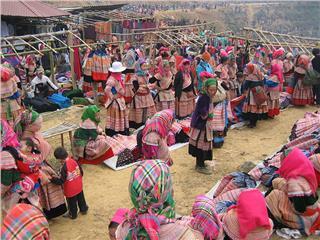 120, Tu Phuoc, Trai Mat, ward 11, Dalat city, Lam Dong province, Vietnam. 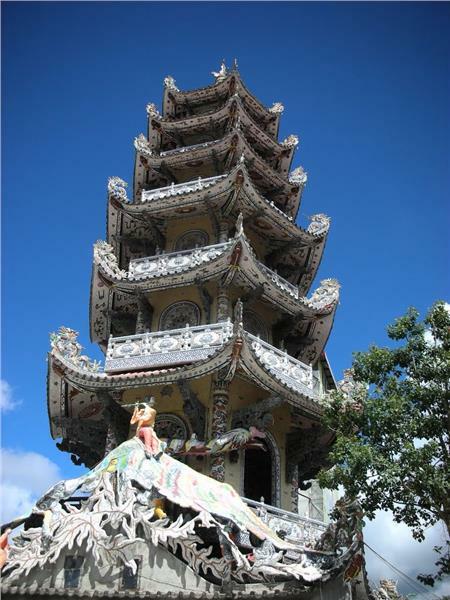 Linh Phuoc Pagoda was built in 1949 and completed its construction in 1950 with an area of 6,666 m2. The pagoda is also known as the "Ve Chai Pagoda" for the pagoda was inlaid with pieces of porcelain which is relatively unique and eye-catching. Retaining the unique architecture, Linh Phuoc Pagoda has long become one of the famous pagodas in Dalat, an oner pagoda with this architectural style of Eternal Spring City. 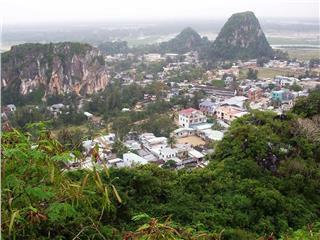 From the small pagoda on the large land, the pagoda was entirely restored and built a number of new projects under the Abbot of Monk Thich Tam Vi in 1990. It is still the pagoda inspiring Oriental architectural style with the sanctum worshiping the Buddha, the curved tiled roofs and pillars carved figures of sacred animal, namely dragon, phoenix, yet the particular features of Linh Phuoc Pagoda compared to other Dalat pagodas is overall architecture of the pagoda is inlaid with debris of glass, pottery bowls and porcelain forming colorful patterns harmonizing and balancing each other. Since the pagoda has been covered with its new appearance, not only Buddhists but also numerous tourists come here to admire ornate and unique artistic works. Setting foot on Linh Phuoc Pagoda, along with offering incense to Buddha, tourists can also have a chance to enjoy the architectural style elaborately built. 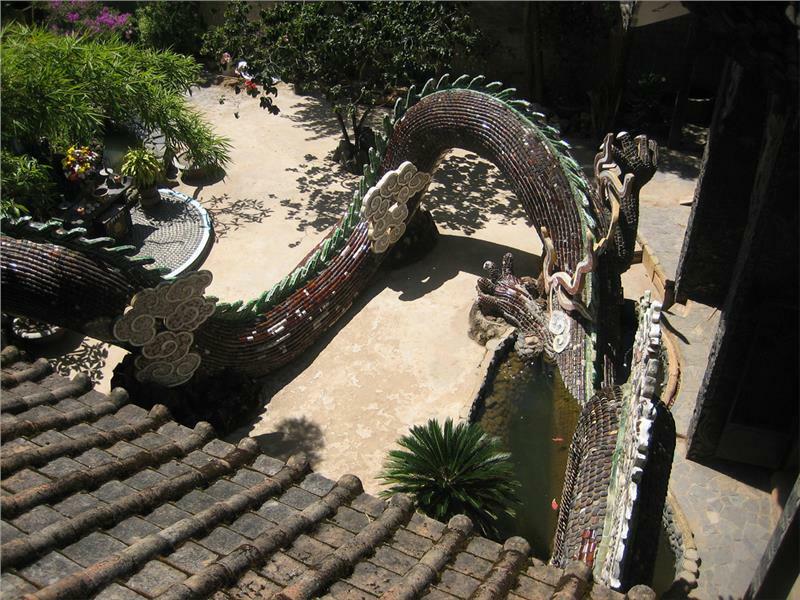 The first architectural works impressing with pilgrims is Long Hoa Vien (the Dragon and Flower Park) carved the image of meandering dragon 49 m long winding around the statue of Maitreya Buddha. The scabs of the dragon are made of 12,000 empty bottles of beer. There is a small lake next to dragon's body with the statue of Maitreya Buddha sitting atop. The next ones are sanctum and stupa, a massive and unique architectural works. The sanctum is 33 meters long, 22 meters wide. The 1th floor is home to worship 108 statues. In the internal sanctum, Shakyamuni Buddha statue is 4.9 m high including lotus, which is made of reinforced concrete and exterior trimmed with gold along with the dynamic relief. This is one of the highlights turning Linh Phuoc Pagoda into one of the most impressive tourist Dalat attractions. Along the sanctum is 2 rows of dragon pillars inlaid with glass debris, which is similar to mosaic style in tombs of Nguyen Emperors. Above those 2 rows of pillar are embossments inlaid with crockery describing the history of Shakyamuni Buddha from his birth to nirvana. There are also sculptural paintings of classic reference of Amitābha, The Amitayurdhyana and The Lotus Sutra. Behind is the place to worship the statues of Bodhidharma, reliefs of 18 Arhats and 10 Bulls, all of which retain spectacular beauty making tourists amazing. 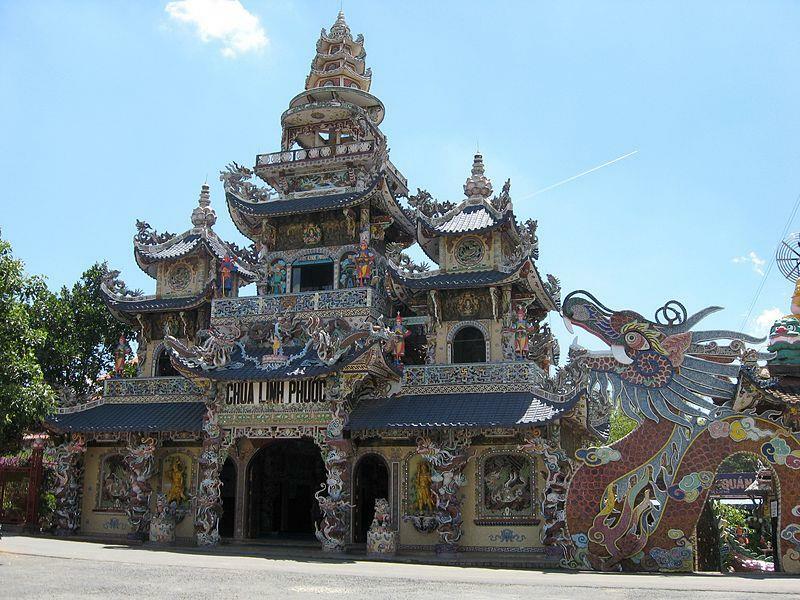 Discovering Linh Phuoc Pagoda is definitely one of the most unforgettable things to do in Dalat. 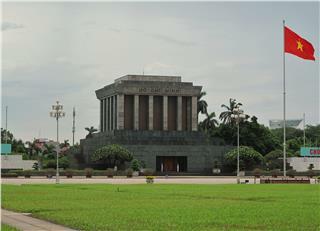 In front of Long Hoa Vien is the 7-floor tower 37 meters high (it is considered the highest bell tower in Vietnam established on 05/05/2008 by Vietbooks). 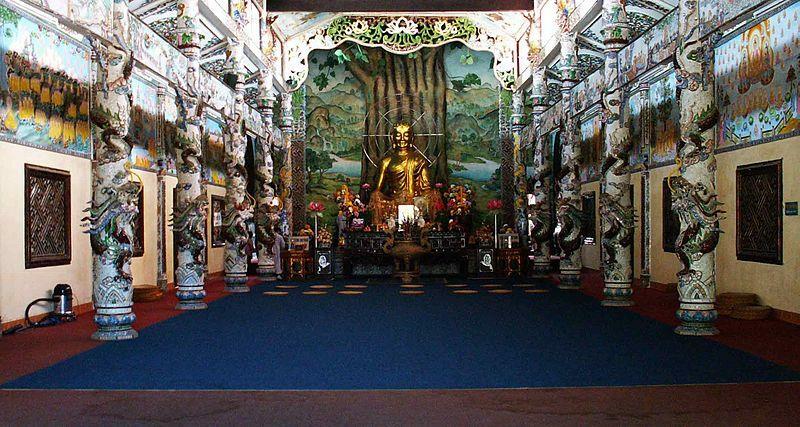 It is home to worship the Buddha statues and also the museum. The 1st floor also retains a bell tower (casted in late 1999). The bell is 4.3 m high, 2.3 m in diameter and weighs up to 8.5 tons. The casting of the bell includes the contribution of Buddhists and tourists over the country along with domestic and foreign people. A group of Hue artists invited to cast the bell has spent more than a year to mold and carve the images on the bell including the famous pagodas of our country, the statues of Buddha thousand hands-thousand eyes along with scenic sights... Whole steeple is decorated dragons and phoenix together with classic motifs. From the roof to the walls of handrails, pillars of entrances are meticulously inlaid with crockery. 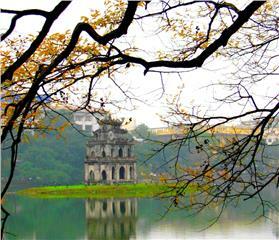 It is distinctive details that have given Linh Phuoc Pagoda to become one of the most impressive attractions in Dalat. 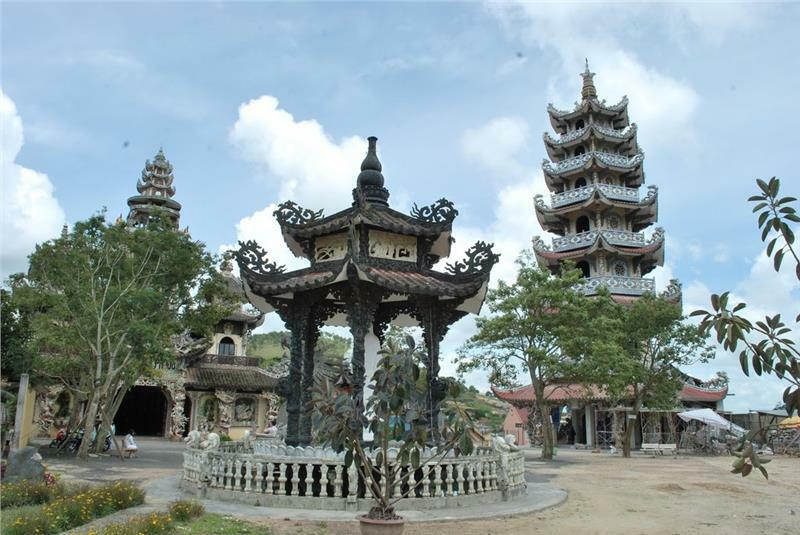 The journey of exploring Dalat travel will be definitely much more memorable when tourists set foot on wonderful Linh Phuoc Pagoda. On the right of the pagoda is the area of the inner. 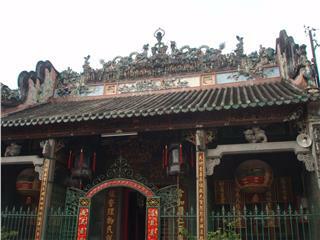 The monk houses is home to live of monks in the pagoda. 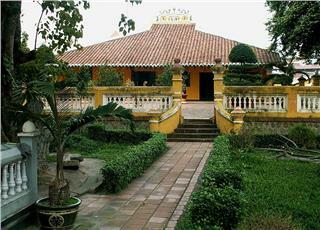 The 3-storey house includes "Tinh Duong" and semicircular lotus pond on the top floor and rooms for monks at the middle floor and ground floor. In the middle is a large living room and library of the pagoda. Linh Phuoc Pagoda is one of the famous scenic spots in Dalat tours, the unique architectural works from mosaic deeply imbued with characteristics of Oriental architecture and welcoming the large number of tourists from all over the country and abroad yearly. 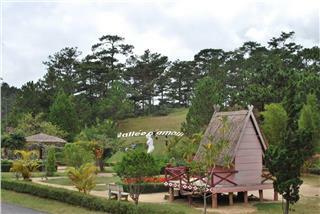 The pagoda significantly displays its contribution to promote the image of Dalat tourism closer to international friends. Crazy House with magnificent and bizarre beauty was built in the unconventional architecture without under any architectural motif. 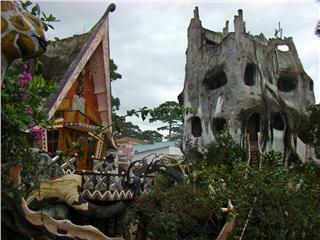 Designed as a "fairy tale house" in modern life, the villa has strongly attracted both domestic and foreign tourists. Dalat Railway Station retains the unique cog railroad in the world. 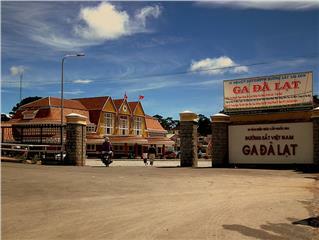 Thanks to its unique and impressive records in French-style architectural overall in Dalat, Dalat Railway Station has long been an indispensable tourist attraction when going to Dalat. 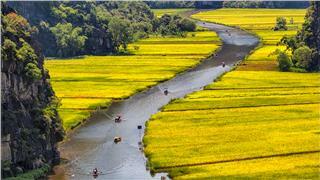 Located about 5 km from Dalat center to the north, Valley of Love, also known as Love Valley is one of the most romantic landscapes in the poetic city. 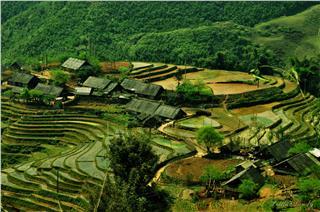 It is an ideal ecotourism area, gradually becoming familiar with both domestic and foreign tourists. 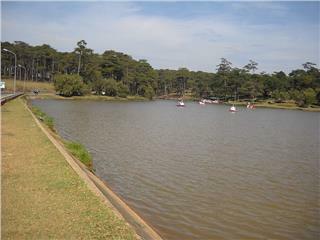 Than Tho Lake is associated with pathetic legends attracting the great number of tourists to Dalat. 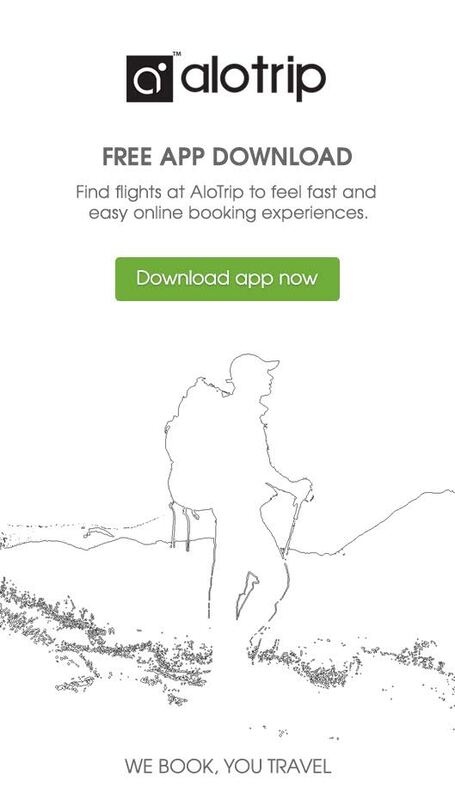 Among the unspoiled and majestic landscapes of dreaming Dalat, Than Tho Lake has long become one of the appealing tourist attraction in the romantic city. 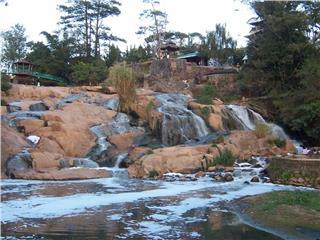 Dalat Flower Park has long been a convergence of hundreds of unique and colorful flowers. Thanks to its advantages and inherent potentials, the park gradually becomes an attractive sight of Dalat city, attracting both domestic and international tourists. 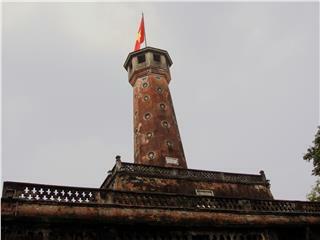 Giac Lam Pagoda is one of the most unique pagodas in Ho Chi Minh City representing the architecture of ancient pagodas. 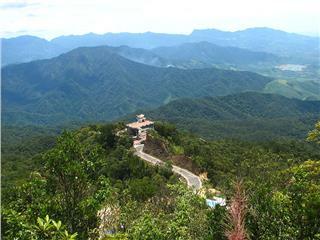 Charming natural scenery and unique architecture inside has turned the pagoda into one of the most alluring attractions in the city. 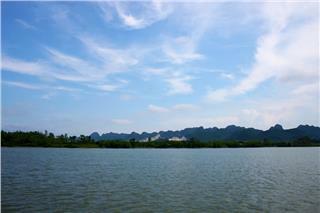 As one of the largest and most charming freshwater lakes in Ninh Binh, Yen Thang Lake retains peaceful natural surroundings and romantic scenery. 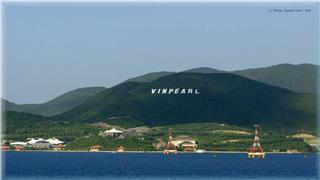 It is surely an indispensable tourist attraction for those who love to explore and enjoy the natural life. 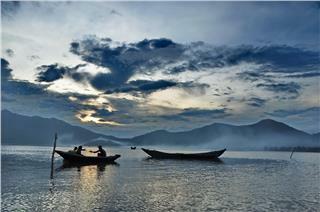 Hanoi Ca Tru Club significantly contributes in preserving and promoting the quintessence of Ca tru art in Vietnam. 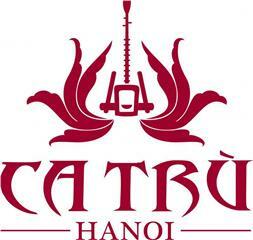 Not only alluring the citizens, Ca tru performances of the club also have strong appeal for international tourists when going to Hanoi. 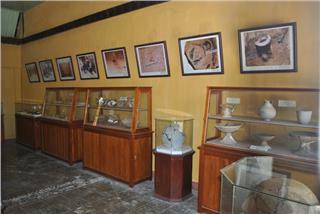 Sa Huynh Culture Museum is home to numerous artifacts and materials on Sa Huynh Culture. 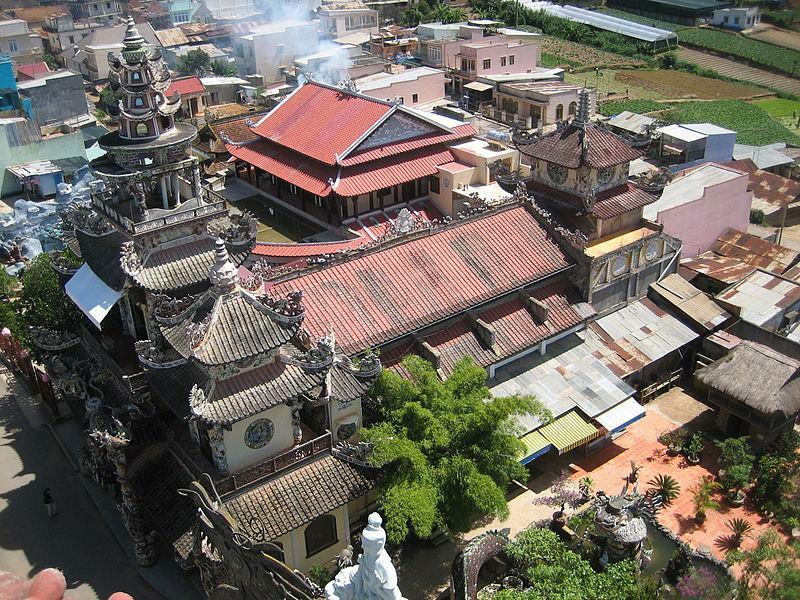 Thanks to unique values of architectural and historical significance, it deserves one of attractive destinations of Hoi An travel. 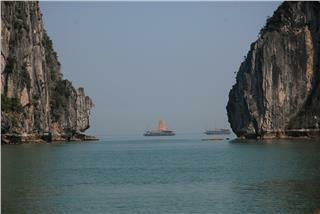 Thanks to its alluring beauty, Marble Mountains have been exploited as a popular tourist attraction in Da Nang. Being one of the most well-known symbols of the city, it still hides many mysteries to explore. 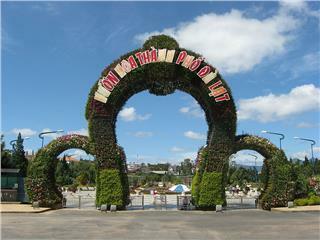 Situated in Hoa Vang district, Da Nang city, Ba Na - Nui Chua is an ideal attraction in Da Nang. 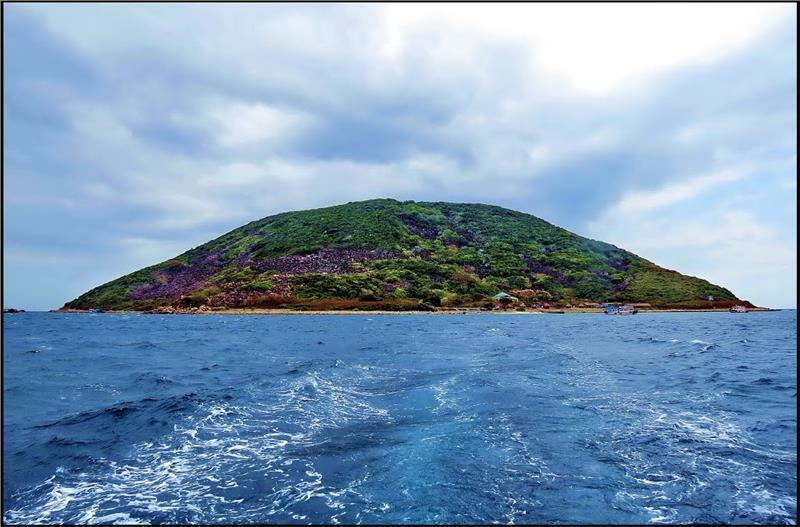 Thanks to year-round cool climate, wonderful natural scenery, the tourist area always leaves a good impression for the tourists. 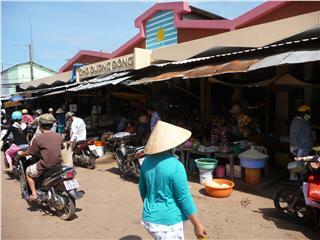 Duong Dong Market is the largest market in the pearl island and also home to purchase seafood most crowded in Phu Quoc. Owning an extremely convenient location for trading activities, Duong Dong Market is considered a seafood shopping center in Phu Quoc.